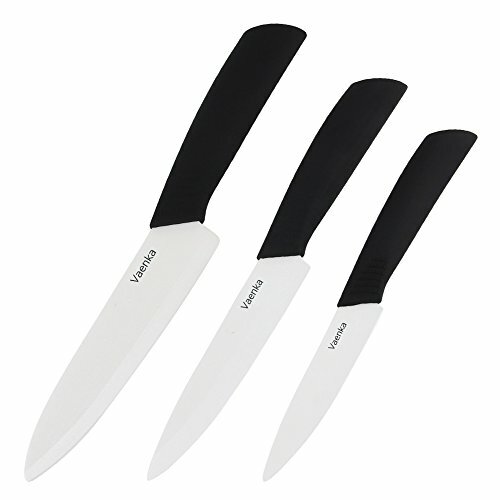 1.Ceramic knives should be used on wood, plastic or silicone chopping board. 2.Steering, glass or porcelain surface can cause the blades to break or break. 3.Ideal for cutting boneless meat, fruits and vegetables. 4.Do not use any ceramic knife for cutting frozen foods,bones or herringbone. If you have any questions about this product by Vaenka, contact us by completing and submitting the form below. If you are looking for a specif part number, please include it with your message.